A recently updated Chalet with modern fitments. 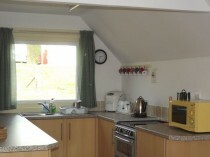 The kitchen has been replaced with wooden style cabinets and new cooker, fridge and dishwasher. 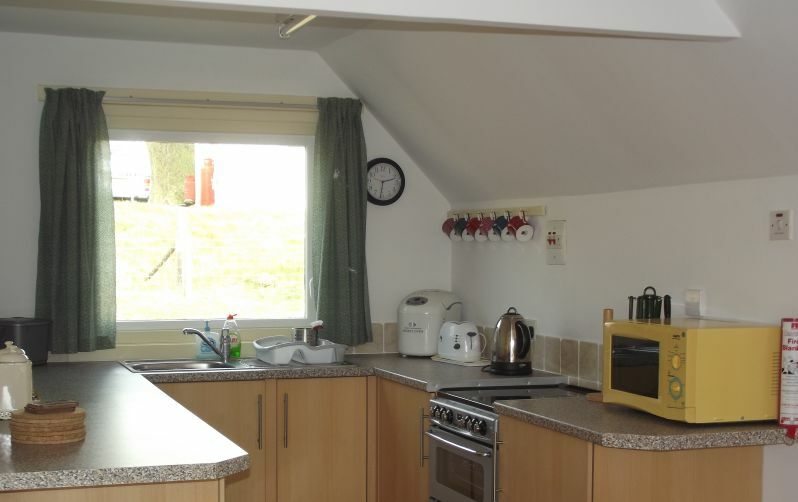 Fully equipped with microwave, and all the utensils you will need for home catering. The living area has comfortable chairs for relaxing and looking at the amazing views. 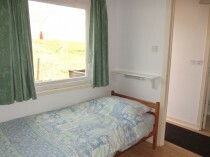 It includes the dining area, and a TV for the playing of DVDs only. 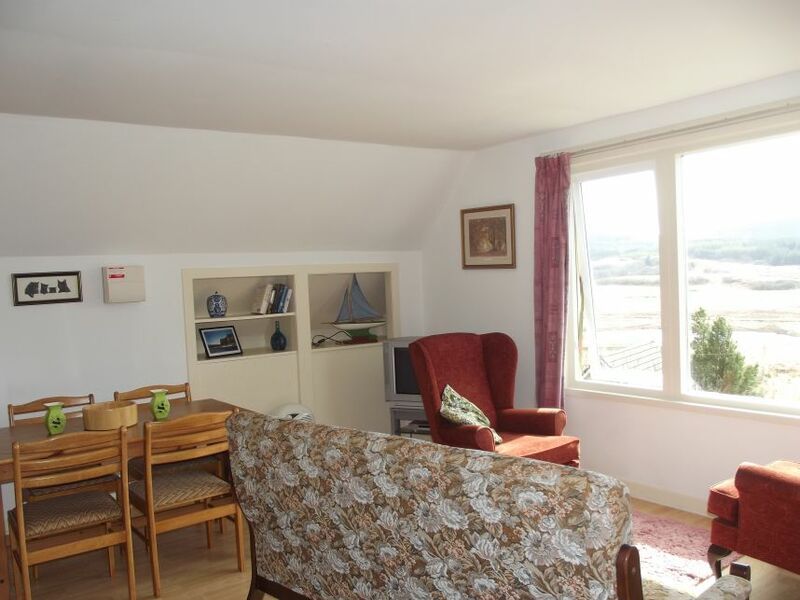 Heating is wall mounted convectors with fan for an extra book when it is chilly. The bathroom had been replumbed with a new suite with a shower cubicle instead of the bath. There is also a heated towel rail, wall heater and vent. 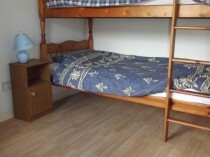 The chalet has laminated flooring for a clean look. The two bedrooms are well appointed with a double bed in the larger bedroom. There is a hair drier in the larger bedroom. 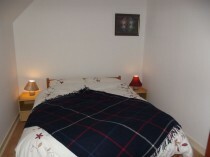 Each bedroom has ample shelf space, clothes hanging rail and under eaves storage. 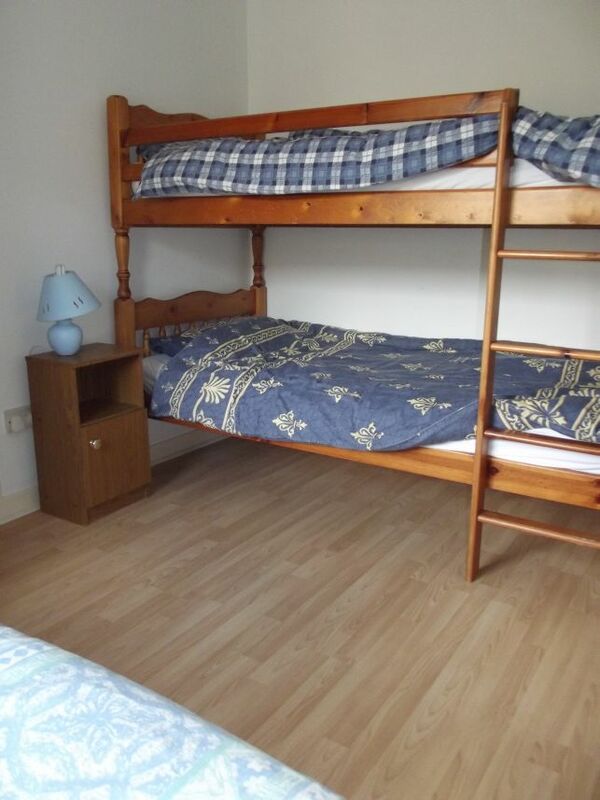 The second bedroom has two bunks and a single bed. There are extra blankets, e xtra pillows and a hot water bottle. Wall mounted heaters allow a boost of heat when needed.